This chapter describes the liquidity risk management in retail banking. The chapter elaborates how to determine an optimal cash management strategy to provide for liquidity of a retail bank which maximises profit by using the Miller-Orr Cash Management Model: 1) Stochastic Optimisation is used to construct the Efficient Frontier of optimal cash management policies with maximal profit determining the Daily Target Cash Balance and Daily Upper Cash Limit in order to maintain liquidity; 2) Monte Carlo simulation is used to stochastically calculate and measure the Profit, Variance, Standard Deviation and VAR of the cash management policies; 3) Six Sigma process capability metrics are also stochastically calculated, against the bank's specified target limits, for Profit and VAR of the Efficient Frontier cash management policies; 4) Simulation results are analysed and the optimal cash management strategy is selected from the Efficient Frontier based on the criteria of minimal VAR. Liquidity risk is broadly defined as the risk of not being able to raise cash when needed. Banking firms raise cash by borrowing or by selling financial assets in the market. Funding liquidity refers to borrowing for raising cash. Funding liquidity risk materialises when borrowers are unable to borrow, or to do so at normal conditions. Asset liquidity refers to cash raised from the sale of assets in the market as an alternate source of funds, for example in market disruptions. Asset liquidity also refers to the risk that prices move against the buyer or seller as a result of its own trades when the market cannot absorb the transactions at the current price. Asset liquidity risk also arises when too many players do similar trades. For example, banks raising cash from liquidation of assets in the adverse conditions of the 2008 crisis faced substantial losses from the deep discounts in their trades. Extreme lack of liquidity results in failure. Such extreme conditions are often the outcome of other risks, such as major markets or credit losses. These unexpected losses raise doubts with respect to the credit standing of the organisation, making lenders refrain from further lending to the troubled institution. Massive withdrawals of funds by the public, or the closing of credit lines by other institutions, are potential outcomes of such situations. To that extent, liquidity risk is often a consequence of other risks. Gatev and Strahan (2003) argue that banks have a unique ability to hedge against market-wide liquidity shocks. Deposit inflows provide funding for loan demand shocks that follow declines in market liquidity. Consequently, one dimension of bank “specialness” is that banks can insure firms against systematic declines in market liquidity at lower cost than other financial institutions. The authors provide supporting empirical evidence from the commercial paper (CP) market. When market liquidity dries up and CP spreads increase, banks experience funding inflows. These flows allow banks to meet increased loan demand from borrowers drawing funds from pre-existing commercial paper backup lines, without running down their holdings of liquid assets. Moreover, the supply of cheap funds is sufficiently large so that pricing on new lines of credit actually falls as market spreads widen. Goodhart (2007) argues that one of the current issues relating to the market, and Lender of Last Resort, operations of a Central Bank is how far it should widen the range of assets, which it will buy or against which it will lend, to include private sector credits, such as residential mortgages and marketable claims on high quality firms, in addition to claims against governments and public-sector bodies. There is surely no question that such credits, when they are of sufficient quality, are appropriate, traditional bank assets. Moreover, since the Central Bank can rely on its outstanding currency liabilities to remain almost in perpetuity, it can absorb market and liquidity risk. What it cannot accept is credit risk, and, owing to asymmetric information, it is likely to be offered the worst such risk assets within the acceptable class held by the borrowing commercial bank, allowing that bank to access the market with its better risk paper. Matz (2011) provides detailed, practical analysis and recommendations covering every aspect of liquidity risk measurement and management. The author emphasised as follows in his work. Villains for the Great Meltdown of 2007-2008 seem plentiful. But the very concept of finding and punishing villains misses the target. Ideally, people learn from past failures. Lessons to be learned from the Great Meltdown are not just plentiful – they are also insightful. 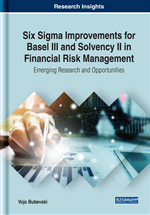 In the book: i) Examples of what went wrong are used extensively; ii) Best practices procedures are explained; iii) New regulatory guidance – both qualitative and quantitative, including Basel III – is discussed in detail; iv) Source material and examples from many countries are included. The book is a comprehensive guide for liquidity risk managers in financial institutions around the world.